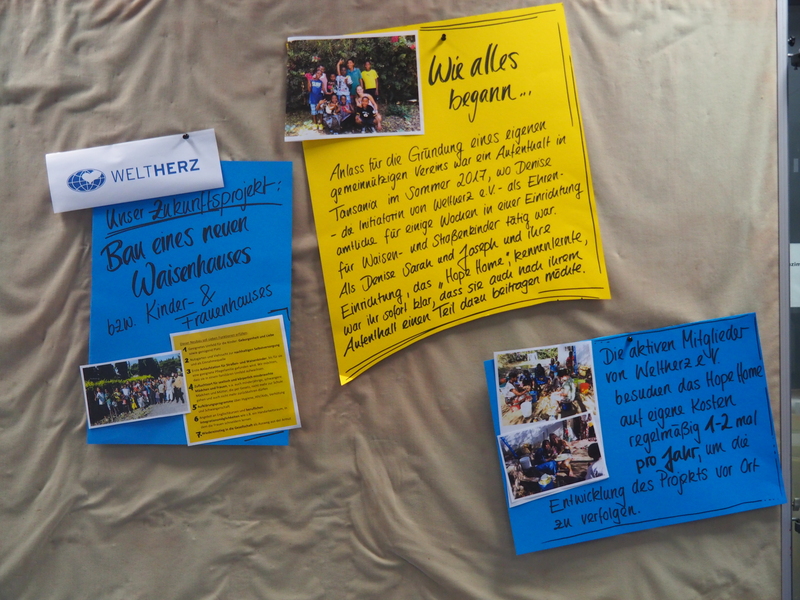 Children for children – Weltherz e.V. 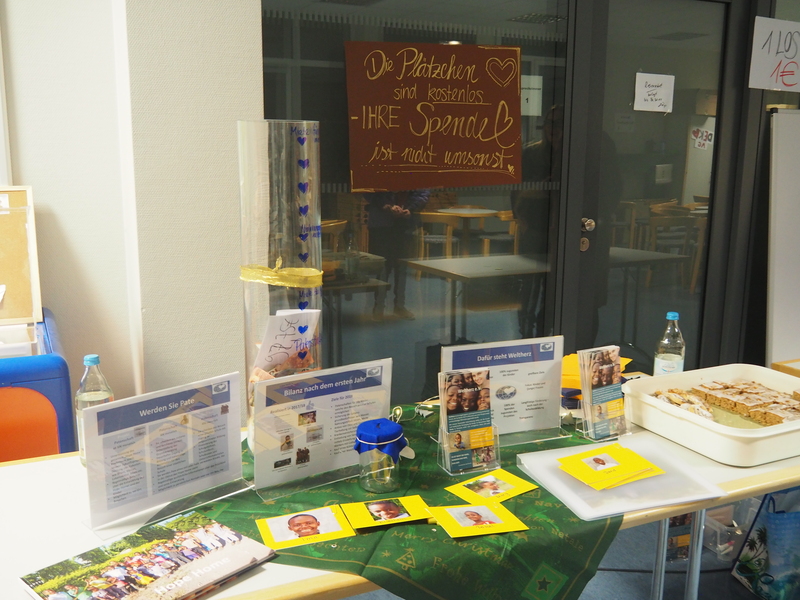 At this year’s Advent afternoon, the 5th classes of the Dietrich-Bonhoeffer-Gymnasium Wertheim collected donations for Weltherz e.V. “Hakuna matata” -who doesn’t know the motto of Pumba and Timon from the Disney film “The Lion King”? The swahil proverb means “no problems” and was the perfect introduction for the 5th grades of the Dietrich-Bonhoeffer-Gymnasium Wertheim (DBG) to learn more about the life of the orphans in the Hope Home orphanage and children’s centre. 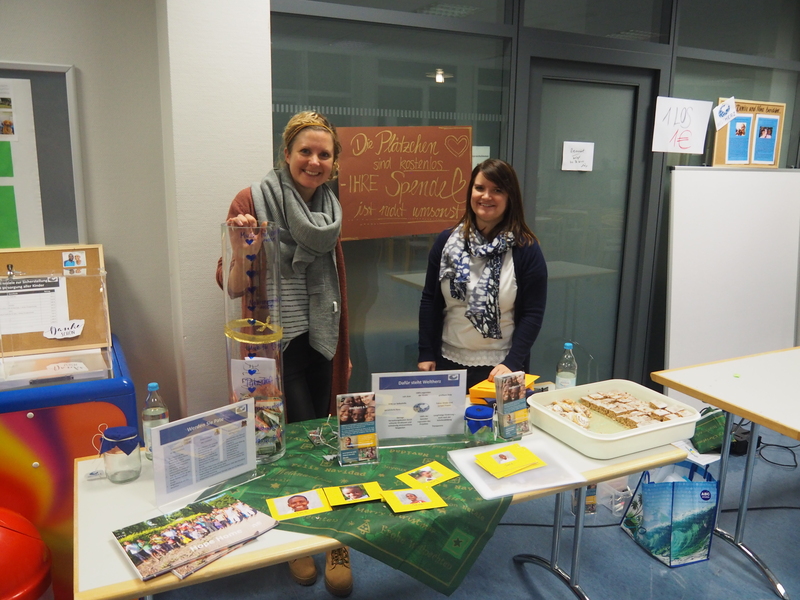 At the beginning of November Luisa and Nina presented our association Weltherz e.V. to the pupils of the 5th grade and promoted the understanding for a different culture. The focus was on the life and everyday school life of the orphans, which the two were able to convey impressively with a picture show. The pupils of the DBG very quickly realized that they prefer to go to school here in Germany. 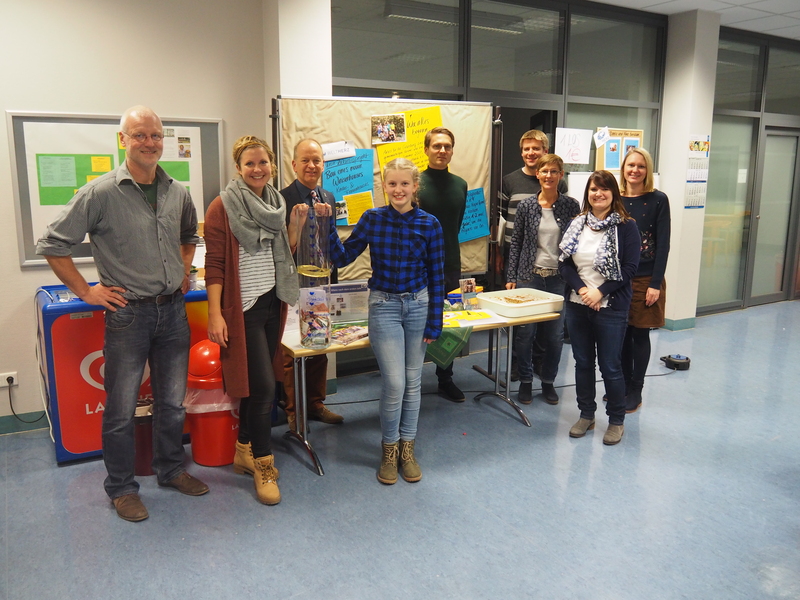 In order to take away the worries of the children in the Hope Home and to give them more “hakuna matata” moments, the school donated the proceeds from the tombola of the Advent afternoon of the 5th grade to Welherz e.V.. In addition, we were able to collect further donations at our stand and thus raise an almost four-figure sum. According to the school motto “think – understand – design” the afternoon was marked by many activities: The children performed plays, songs and sketches, surprised with gymnastic and dance performances and conducted an interview with Luisa and Nina on stage in order to bring our association closer to the audience. We thank all students, teachers, parents and visitors from the bottom of our hearts for their generous donations and look forward to continuing our cooperation!